JOHA® Retouching varnish (order# 1800 - 1840) is ideal for repairing damaged varnish on musical instruments. 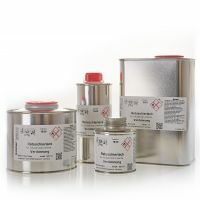 It is made using selected resins and a special solvent, thus providing excellent adhesion to damaged areas. In order to achieve better cover, JOHA® Retouching Varnish has a slightly stronger color. 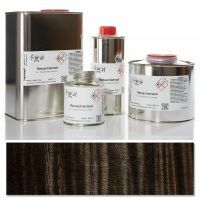 The composition of this special retouching varnish means that it is ideal for repairs to both spirit and oil varnishes. 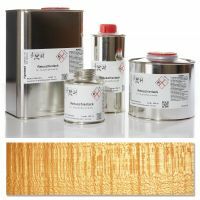 The appropriate thinner (order# 1840) should be used with JOHA® retouching varnish. JOHA® retouching varnish is available in six colors: clear, brown, yellow, red, golden yellow and black. All colors can be mixed with each other. The retouching varnish should be thickly dabbed or painted onto the area to be repaired; leave to dry completely and then sand smooth to match the remaining varnish.